For many people, ideas for laundry room decor is just as important as the family room, bathroom and kitchen. Often times it is one of the most used rooms of a home. It gets overlooked because most of us try to avoid it as much as possible. When looking for laundry room ideas it's best to start with the part that's seen the most, the floor. Finding the best laundry room flooring is much easier than you would think. That's because, in our opinion, there's only one flooring option that works best for laundry rooms; vinyl. 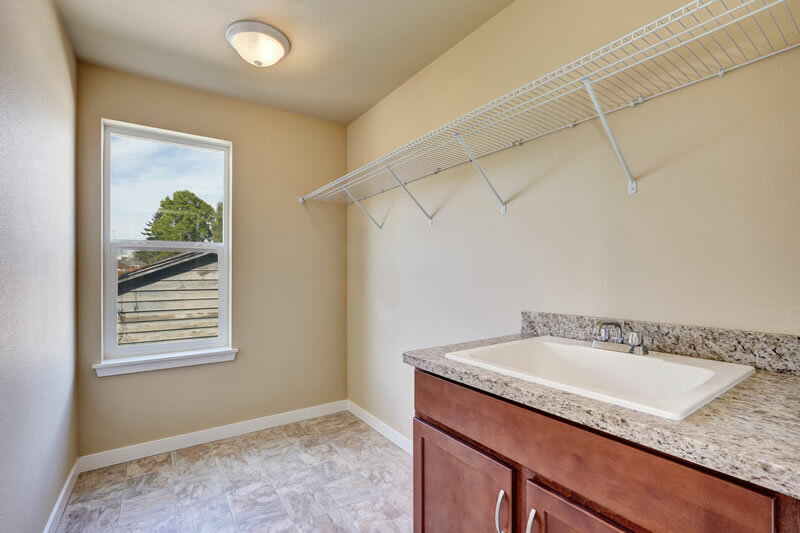 Although vinyl plank flooring and tile are great second choices, that may not provide the performance that vinyl flooring in a laundry room will. Sheet Vinyl Flooring – For many reasons, including the ones below, vinyl is hands down the best flooring for laundry rooms. A laundry room requires flooring that will stand up to water and moisture, which means no hardwood or thick carpet. Many types of vinyl flooring are water resistant and almost seamless, so water can't seep into the sub-floor beneath. 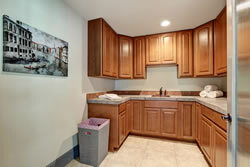 Vinyl products are long lasting, even with all the foot traffic your laundry room experiences. Any dirt tracked in can be wiped away with a mop. For those who have their heart set on tile, vinyl can mimic the exact look tile gives off. You'll get the same look of tile with extra warmth and comfort. Vinyl products are much less expensive than other flooring types. You can get whatever flooring look you want without burning a hole in your wallet. Vinyl flooring is quite easy to install. This means the professional flooring installers you hire won't be in your home all day. Vinyl Plank Flooring – If normal sheet vinyl isn't for you, try luxury vinyl plank flooring or tile. Vinyl plank products give a natural hardwood look without all of the drawbacks. You can also get a natural stone look with luxury vinyl tile products. 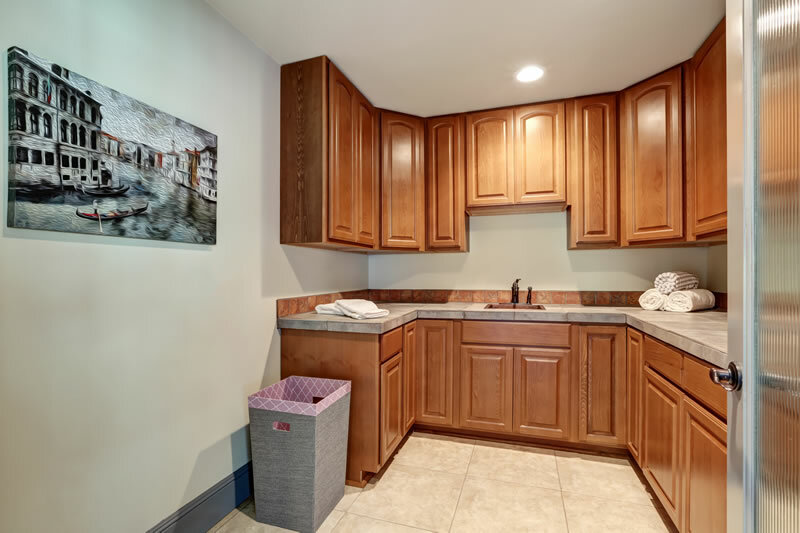 Hardwood & Carpet – Some say carpet and natural wood works in laundry rooms. We would not recommend this because moisture can ruin both products. You may even experience mold build up in your carpeting if it stays damp. We know how to make vinyl flooring look good in any laundry room. 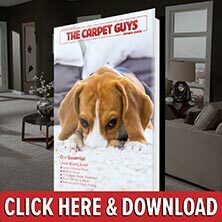 If you're ready to make your laundry room one that will stand out, it's time to call The Carpet Guys. We carry the highest quality vinyl on our shelves, and we guarantee you'll love the way your laundry room floors will look. Give us a call and get your free vinyl flooring estimate scheduled today. There are loads of laundry room ideas because you can do just about anything in this space. It doesn't matter if you have a large laundry room or if you're trying to get small laundry room ideas, floors are always a good place to start. 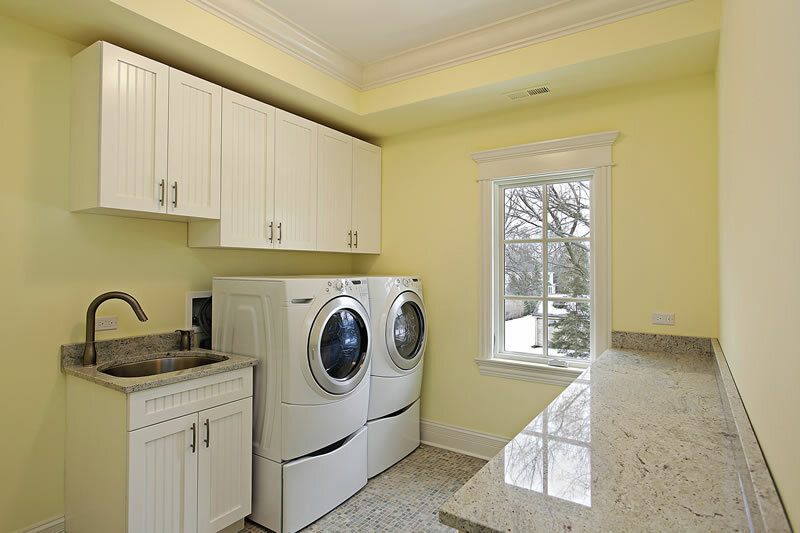 Here are a few laundry room ideas.